Who Else Want’s to be More Productive? Busy professionals can all agree that productivity is a highly desirable quality. How many times have you felt that 24 hours isn’t enough time to accomplish everything that you need to do on a daily basis? It should go without saying that it is extremely valuable to be efficient both inside and outside of work, especially since your free time is already so limited. Unfortunately, you cannot change the number of hours there are in a day, but you can certainly make the most of it by finding ways to increase productivity. This post is going to cover the nine best tips that I use to be efficient and have time to do what I enjoy despite working 80 hours a week. By using these strategies, I am able to keep up with my fitness, my dietary habits, and enjoy hobbies and other fun activities outside of work. The method that has the biggest impact on improving productivity is planning. Planning ahead is critical as it allows you to list out and evaluate all of the tasks that you need to accomplish. Write them down in the form of a ‘To Do List.’ Write everything down, no matter how big or how small the task is. Include work-related tasks, as well as personal ones. You’ll be shocked at how stress relieving it is to see all of your pending tasks written down in a finite form. When they are in your head, it always seem like a lot more than they actually are. Once you know what needs to get done, you can then evaluate how much time each task will take, and allocate your time accordingly. You can also begin formulating a plan on how you will accomplish each activity. I personally use the ‘Notes’ app on my iphone because it syncs to every device that I have and I can access my list anywhere I may be. Always make your To Do List. Winging it is inefficient and should only be left to the amateurs. After writing down your ‘To Do List’ figure out which activities need to be done first. These include items that have strict deadlines or depend on a specific date, such as birthdays or holidays. Make it a priority to accomplish these tasks first and as efficiently as possible. Concentrate all of your efforts on finishing the task that is the most time sensitive. Attack it in bursts if it takes longer than 30 minutes to complete. For all of the other tasks that do not have specific deadlines, create artificial deadlines. Get into the habit of believing that everything has to get done by a certain time. I am a firm believer that most tasks can be accomplished in whatever deadline you give yourself. Be strict. Meet your deadlines. You’ll be shocked at how efficient and productive you could be when you believe that you need to be. This tip is very simple. Studies have shown that humans have a strong desire to finish any task that they start. This has been called The Zeigarnik Effect. I’m sure you have noticed this in your own life. Starting any task is always the hardest part, as procrastination plays a huge role in decreased productivity. Get over your inertia and just start your task, regardless of how painful it may be. Give yourself just 25 minutes to work on the task. Start a timer that will go off in 25 minutes, after which you can take a break. Remember, even if you do the bare minimum, it’s always better to have done something, rather than nothing. This next strategy is extremely important. You must make an honest assessment of what your priorities are. As a busy professional, you will not have enough time to do everything that you want to do. That is just the reality of things. Make sure that you allocate your free time to the activities that you deem to be the most important. For me, exercising is a priority. I will take time away from other activities to ensure that I have enough time to squeeze in a training session. Spending time with my wife is an even higher priority. If we make any plans, or simply need more quality time together, I will skip my gym session if I need to. Rank all of your non-work related tasks in order of importance, and identify any potential activities that you can spend less time on. Simply eliminate trivial activities. Also, you must become comfortable saying no. Many people and many events will be competing for your free time. Choose the things and the people who matter most to you. 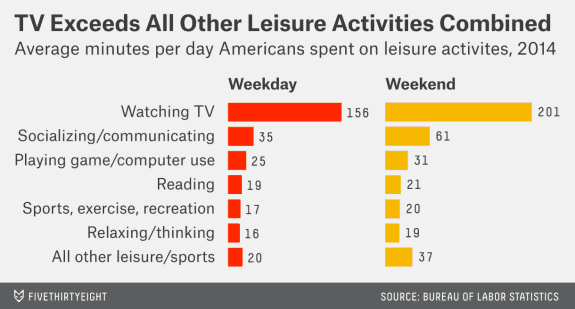 The average American spends >10 years of their life watching television. This statistic is astonishing. Besides the occasional entertainment that television provides, how much benefit have you really obtained from TV? How many hours have you spent watching things that were a complete waste of time for you? Personally, I did not own a television set for over 10 years. I attribute the vast majority of my productivity during those years (college and medical school) to not having watched television throughout that time. To this day, the amount of television that I watch is negligible. The time spent watching TV can be used in so many more productive ways. Just watching a 30-minute program is 30 minutes that you could’ve spent performing a quick effective workout. Let’s not even talk about the sedentary lifestyle that television encourages. That’s a topic for another post. I don’t know about you, but I like to minimize the number of choices I have to make on a daily basis. Just think about the inexplicably long time you spend making choices every single day. Choices that do not have any significant meaning to your life, such as deciding what to eat for lunch today. If you happen to cook on a daily basis, this is also the time that could be used doing other things. There is one strategy that can save you a lot of time, and minimize the number of decisions you need to make over the long haul. Prep your meals 4-7 days in advance. 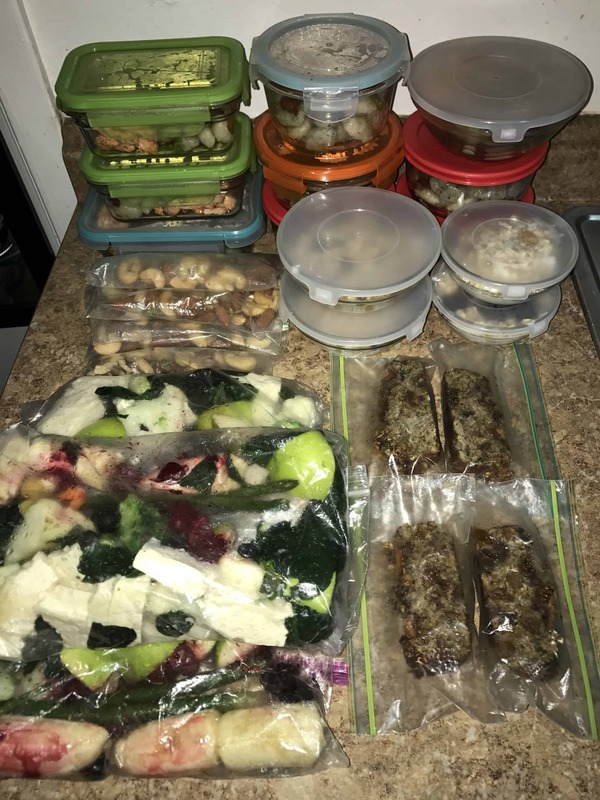 Investing two-three hours on the weekend (or any off day) to meal prep will save you several hours during the week. You’ll also become healthier in the process, as the food you pack yourself will always be better than the food you buy on the outside. One of the biggest things that has helped us meal prep is the instant pot. Along the same lines of meal prepping, picking things out the night before will also create efficiency. Start by picking out the clothes that you will be wearing tomorrow. Include everything, such as socks, IDs, and devices. In doing so, you will save a lot of time in the morning and identify any potential issues with your outfit or gear that you were not expecting. You can also use this time to pack the gym clothes that you will be changing into after work to get to your training session ;). After you meal prep, you can pack your lunch as well as other meals for the subsequent day, eliminating the time needed to make these meaningless decisions the following workday. Now you can focus on decisions that matter. There is plenty of evidence demonstrating that multi-tasking is inefficient and leads to mediocre results on all tasks. While I completely agree with the data, I still think it is beneficial to multitask certain activities. The activities that you should multi-task are the mundane ones that do not require any performance measures. -Calling friends and family while washing the dishes or picking out your clothes. – Listening to podcasts or study materials while going for a walk or while you organize the house. – Brush your teeth while turning on the stove to make a quick 5 minute breakfast. Get creative. Find tasks that you can finish simultaneously to save precious time. Unlike money, you can never get time back. No matter how busy you are, you will eventually have some downtime at work. Perhaps you finish an activity in a lot less time than you anticipated, or your hour-long meeting was canceled. Most people use down time to browse social media or read the latest gossip about Kim Kardashian. While there is nothing wrong with that, keep in mind that you can utilize this time in a more productive manner. Try to use your downtime to update your to-do list from tip #1. 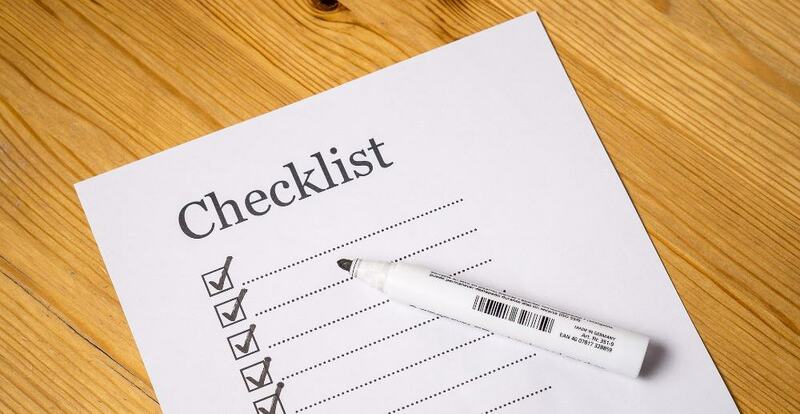 If your list is already complete, check to see if there are any tasks that you could potentially start. The absolute best way to use downtime is to find any work-related obligations that you can take care of while you are still at work. This will help to free up personal time later to enjoy your prioritized hobbies. I try my absolute best to never bring work related tasks back home. When I’m home, that is my personal time. Even if you can’t do these things at least try to minimize the use of social media. Social media employs many marketing tactics that entice you to endlessly watch meaningless videos. Without realizing it, you can easily spend an hour chasing useless click bait. I used to dread waking up any earlier than I had to. If I had to be at work by 630 am, my alarm would go off at 6 am so that I could squeeze every last minute out of sleep that I could. 5 minutes to brush my teeth and wash up, 5 minutes to prepare breakfast, 5 minutes to eat it, 2 minutes to get dressed and 10 minutes to walk to work. Needless to say, I felt miserable. This was before I realized that you are at your most productive potential immediately upon awakening. It also has to be early in the morning, before any major distractions set in. I tried it for a few days and I am now hooked. The morning is the perfect time to stretch, workout, meditate, eat breakfast, listen to a podcast, and most importantly work on a task without interruption. Give yourself at least one hour to get a couple of these tasks done. I guarantee that by the time you get out of the house and have accomplished a few tasks before heading to work, you will feel like a million bucks. The downside? You have to go to sleep early so that you can ensure that you are getting an adequate amount. The upside? Infinite productive potential. As a busy professional, it feels like time always slips right past you. Unfortunately, this is time that you will never get back. Therefore it is important to maximize it to the best of your abilities. Use these 9 tips to increase productivity and see how many meaningful things you can accomplish in less time. Perhaps, it’ll open up that much needed 30 minutes a day that you can use to begin your exercise routine. Learn how to Make Time for Exercise when You Work 16 Hrs a Day. Where do you struggle to be productive? What activities do you participate in that are simply a waste of time?